Good position but quite old building; bathroom not ensuite and cracking wooden floors don't insulate room from noise. Lovely B&B, great service. Would recommend! Lovely old place just minutes from Sligo town centre. 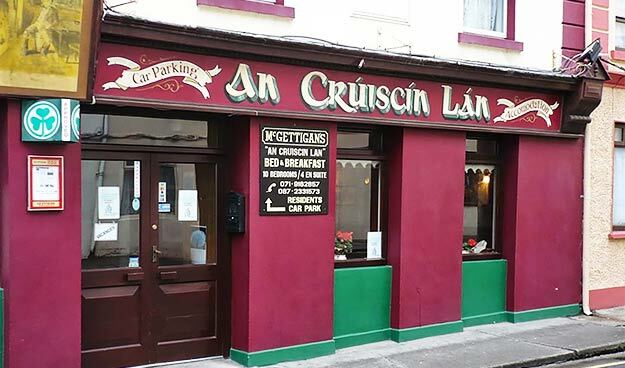 Owners very friendly & with great Full Irish Breakfast! The room was very well appointed and the bed superb.Just what you need after a very long drive and a long day.Breakfast was excellent with a good choice and promptly served by the hosts. The B&B is very centrally located for someone with business in the city centre and I would thoroughly recommend this establishment for any one who needs to stay for a few days in order to see the town. There is private and secure parking directly next door.I would definitely stay here again when in Sligo in the future. Excellent stay. Sligo was an unexpected gem on our improvised tour of the country. Will definitely stay here again - Liam was unbelievable! If you just want a VERY basic place to stay that is right in city center and close to everything in Sligo, then this is the place for you. Plus the owner and his wife are very charming folks who work hard to please. But again, the room is VERY basic. Lovely, nice and warm B&B. Very nice owners, big comfortable room and a very good Breakfast. It was clean and the host and hostess were very gracious.